I've just had a few day's leave, mostly in the central North Island. 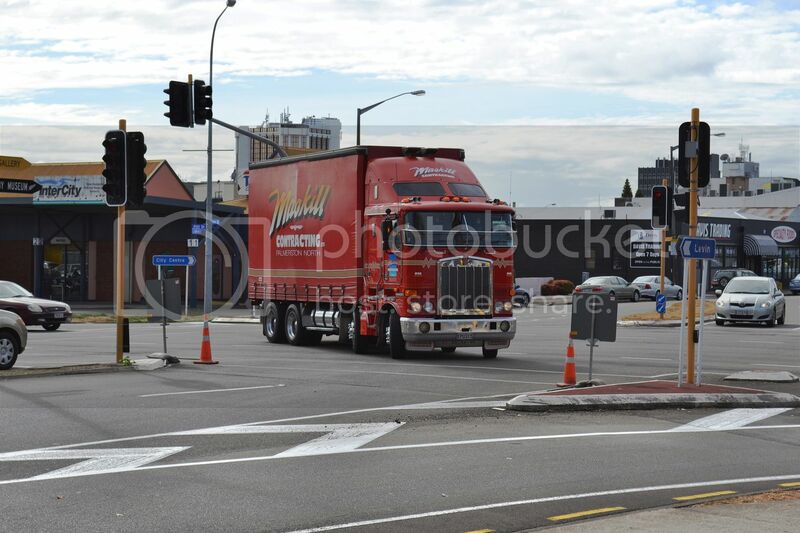 I had intended to take some photos in the main street of Putaruru of the passing rigs, but time constraints and the weather didn't allow this.However, here is what I managed to snap. 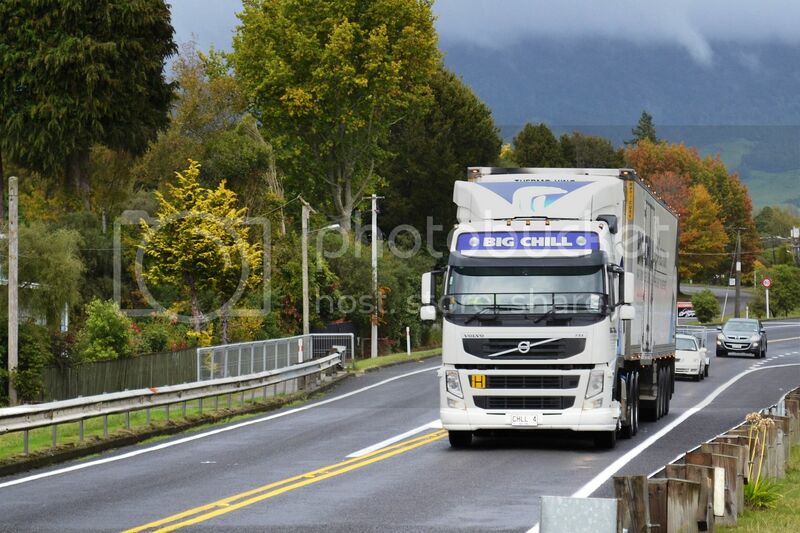 I thought I was about to catch up with Vic, whom I've never met in person, but it turned out to be another member of the Fluidex team, driving an International Eagle, parked up at The Bridge Motel in Turangi, where we stayed on our first night. 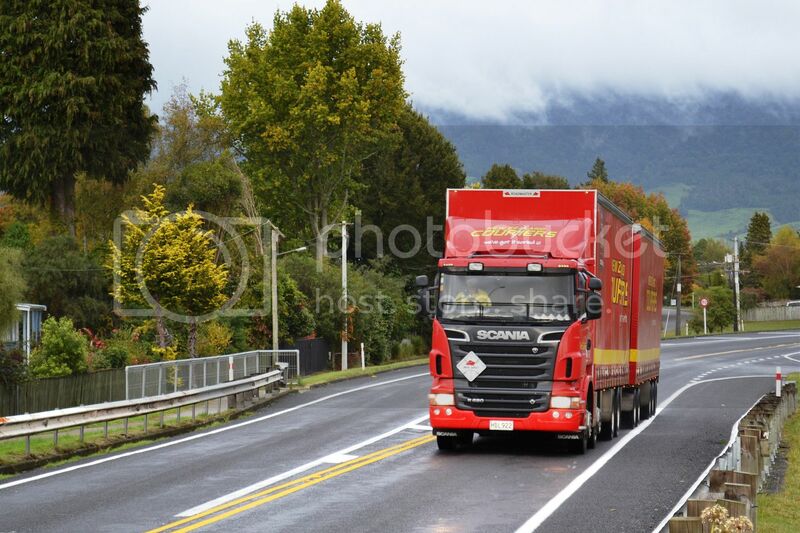 The next morning I walked out to the main road and captured this 2013 NZ Couriers Scania R620 approaching the bridge over the Tongariro River. 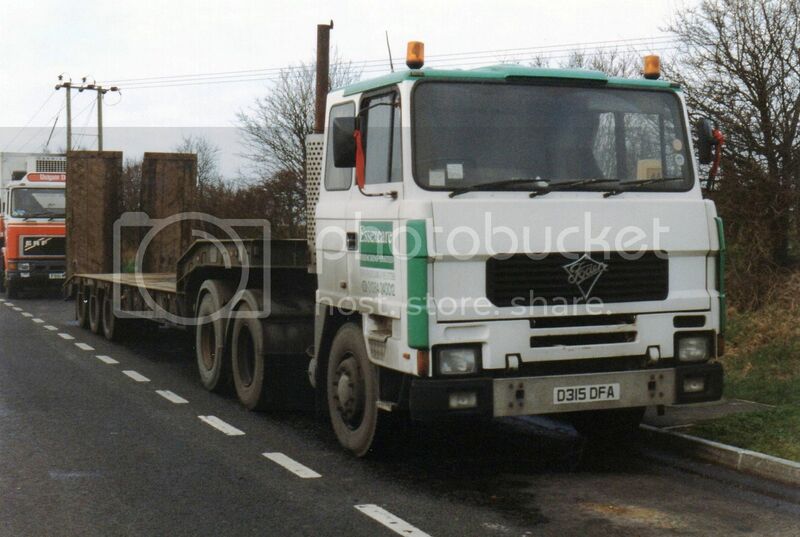 ....closely followed by an almost identical Volvo FM, but one year older. Also staying at the motel were two Ford Model As. 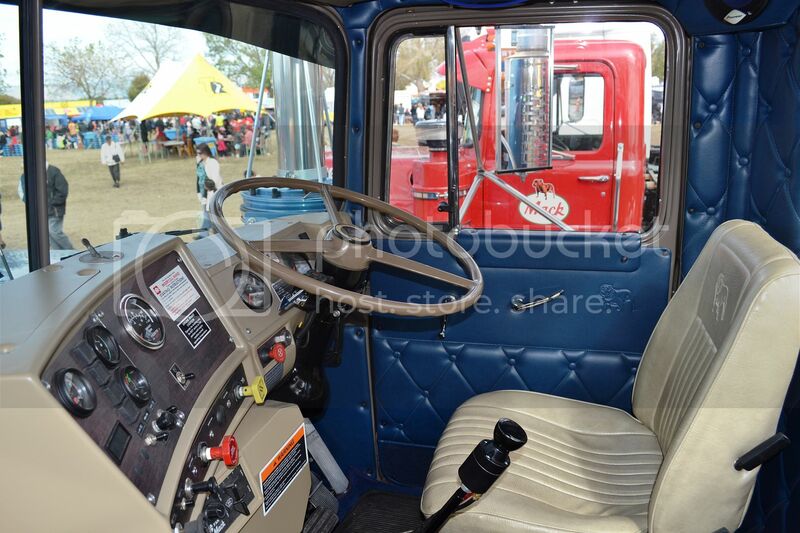 This left hand drive example leaves in the morning. The other one can be seen in the background. 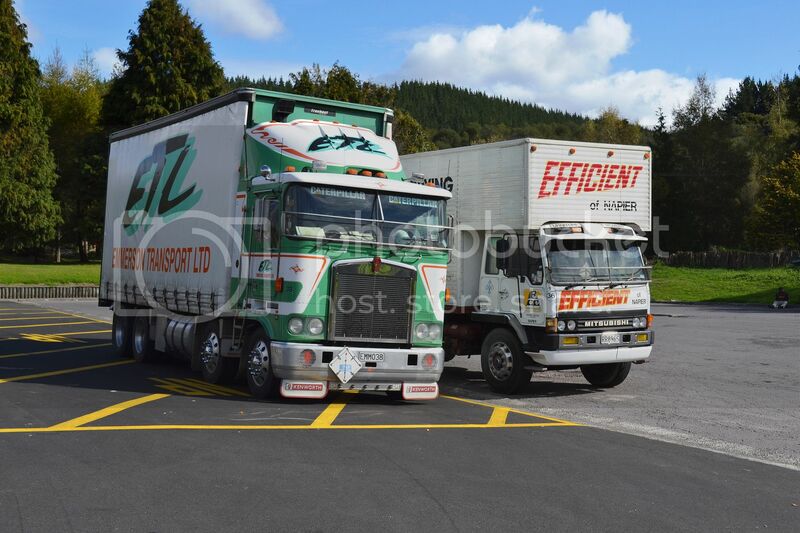 ....while this Emmerson's Kenworth and Efficient Mitsubishi were parked at the nearby diner. Interesting to note that the 1992 Mitsi has covered over 500,000kms whereas the much newer, 2004 KW, has in excess of 1,000,000 on the clock. 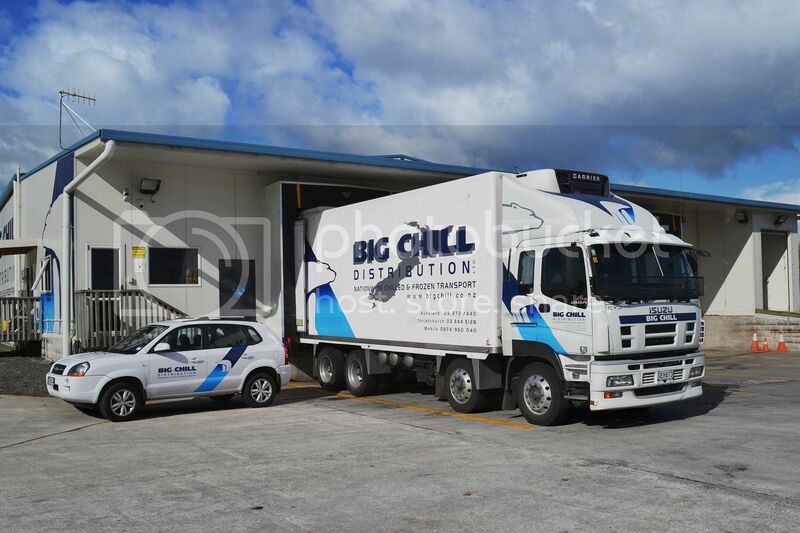 Chris, whom we stayed with at Putaruru, drives this Isuzu Gigamax 460 with its 16 speed automated manual transmission, out of Big Chill's Putaruru depot..
Chris relieves for any drivers on leave and carries all the extra freight that won't fit on the trucks doing the regular runs. He really likes his job as it is much more varied than a regular run and he quite often doesn't know where he will be heading until he arrives at work. Consequently he covers more distance than anyone else operating out of this depot and has been known to cover more than 750kms in a day. 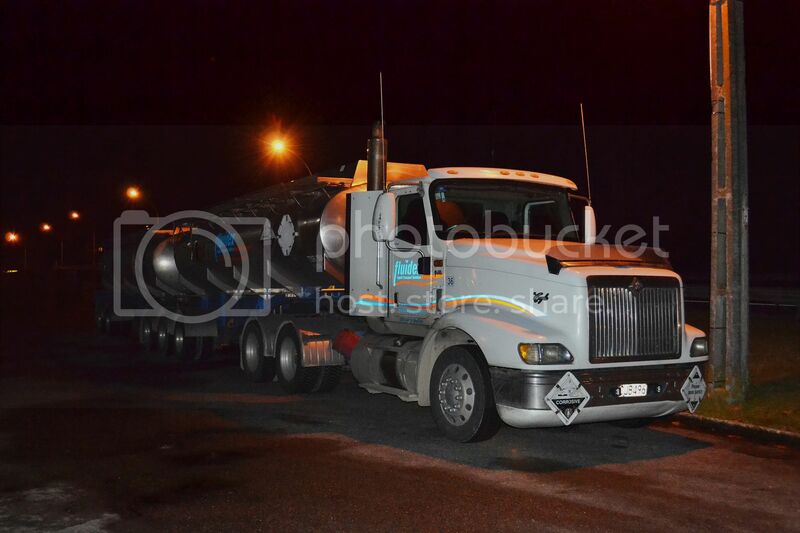 A considerable distance for a multi-drop driver who manages to get back home every night. 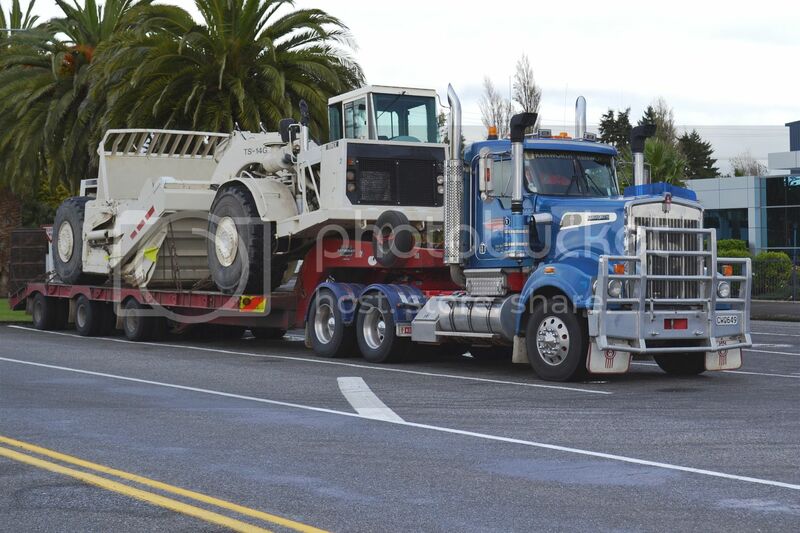 .....I did see Satherley's T904 parked up in Pahiatua on Good Friday with a Terex scraper on her back. 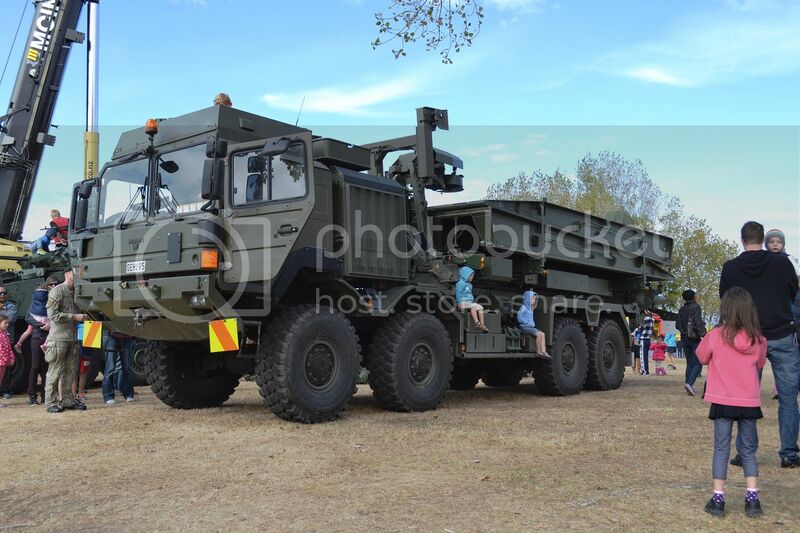 NZ Army MAN HX32.440 has a tare weight of around 19 tonnes and appears to carry some form of folding bridge apparatus. Touches of black paint makes this dog look a bit evil. 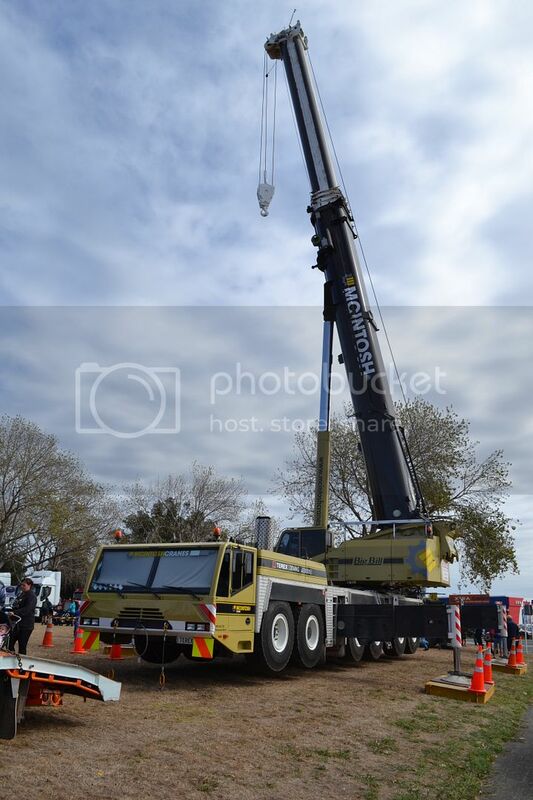 McIntosh's big Terex crane weighs in at around 72 tonnes. 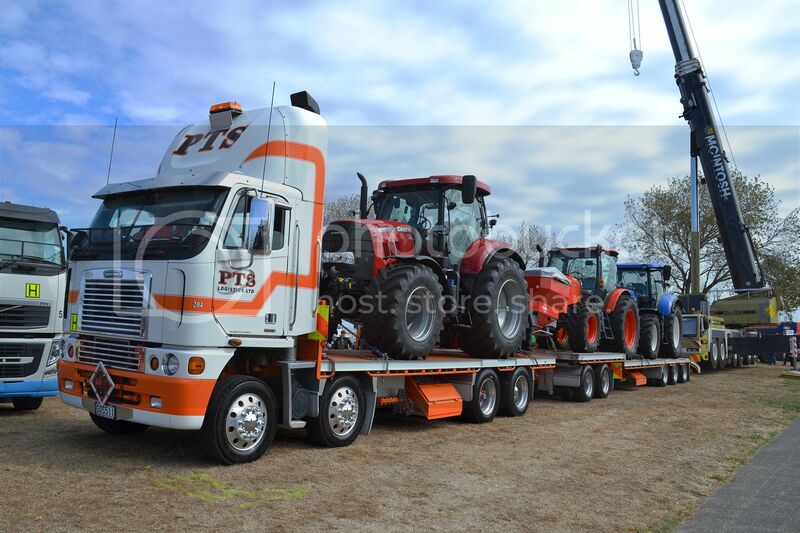 Although these days PTS carries almost anything, they originally started by carrying tractors and farm machinery. DAFs sales have certainly made headway in NZ. 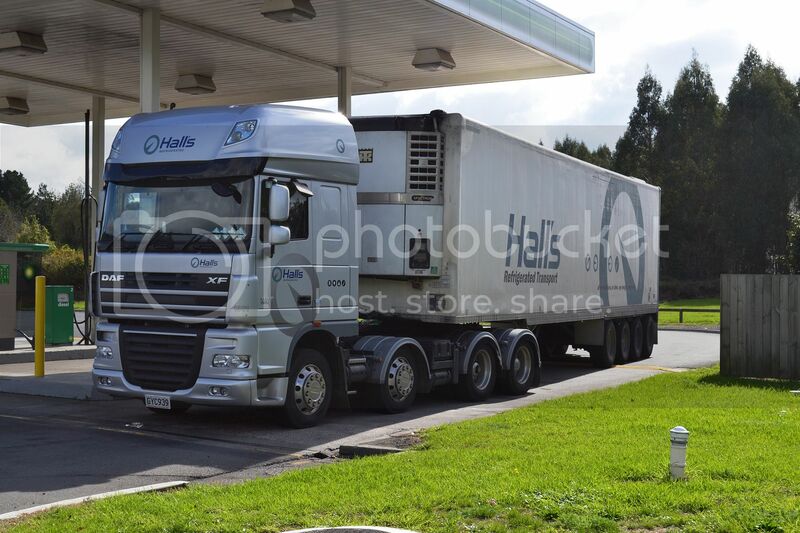 2013 DAF XF105 in stock truck form. 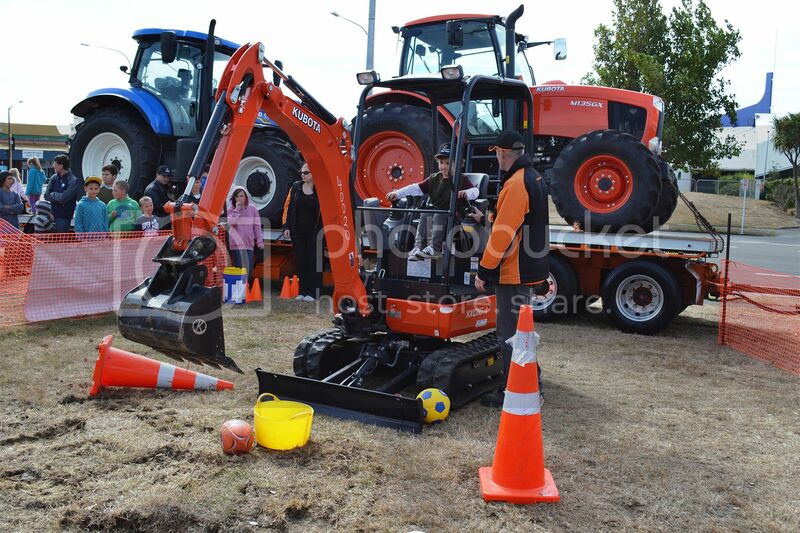 For a couple of dollars kids could have a go at digger driving. Even those who struggled with the task grinned from ear to ear. 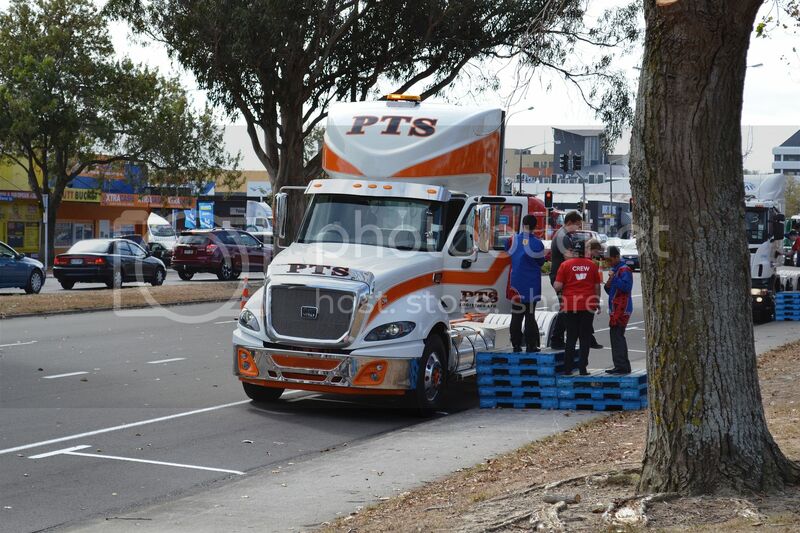 Another PTS rig. A Caterpillar CT630 of 2013 vintage. 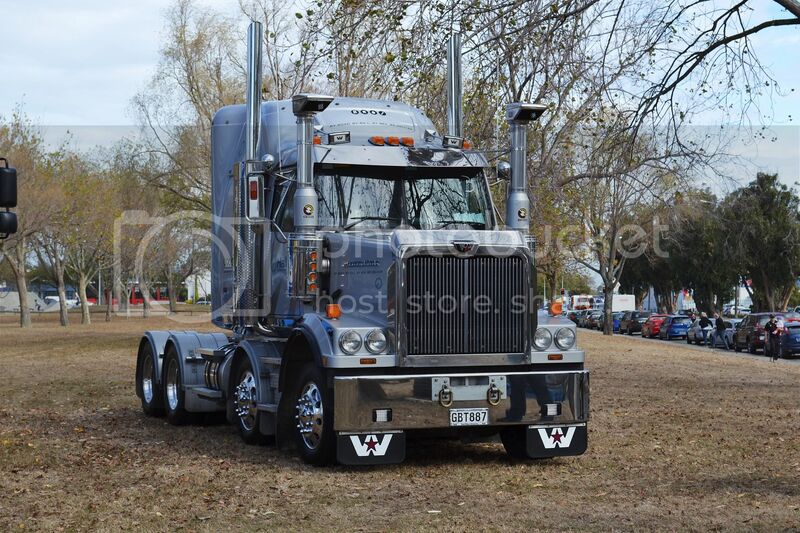 Grill treatment on this Western Star resembles a Peterbilt at first glance. 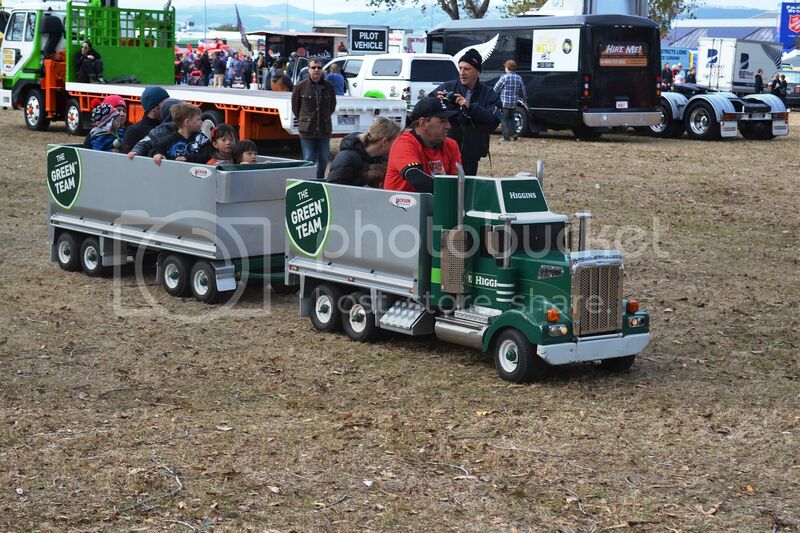 Small rig rides were almost as popular as the bigger versions. 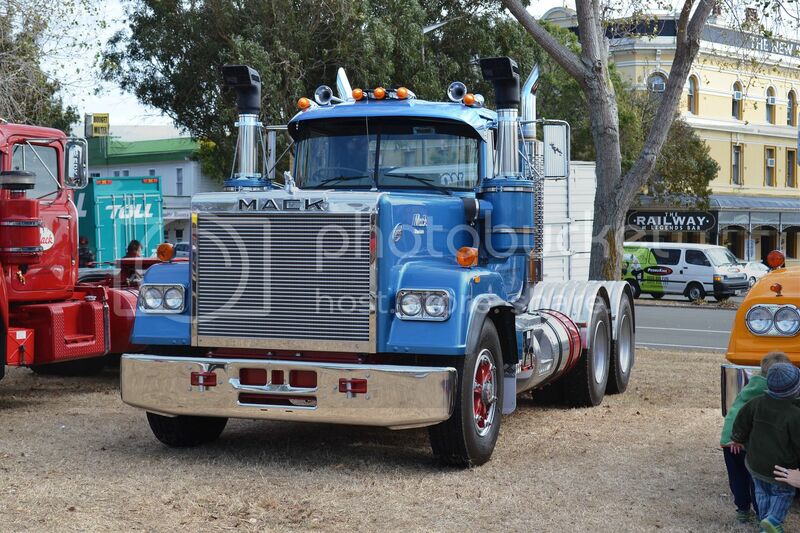 Maskill's Kenworth K108 returns from another kid's trip. 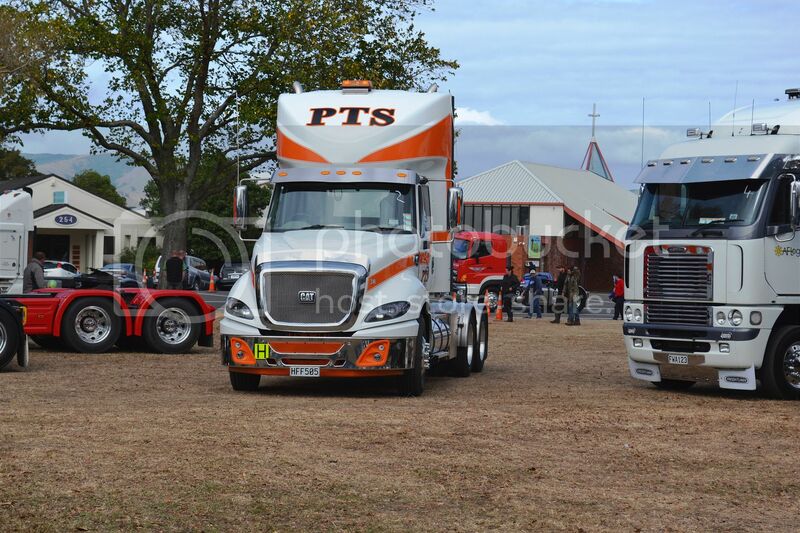 Today I attended the Big Rigs Day at Palmerston North. The day is geared towards kids and all profits go to child cancer sufferers. All events were either $2 or a gold coin donation (that's $1 or$2 for those not familiar with NZ currency).Lots of smiling kids and a lot of smiling big kids too (me included). 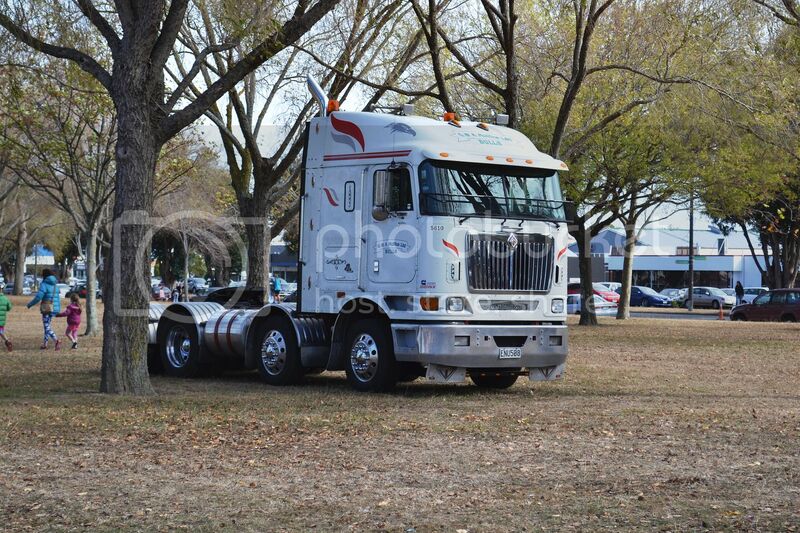 2008 International 9800 tries to hide behind a tree. 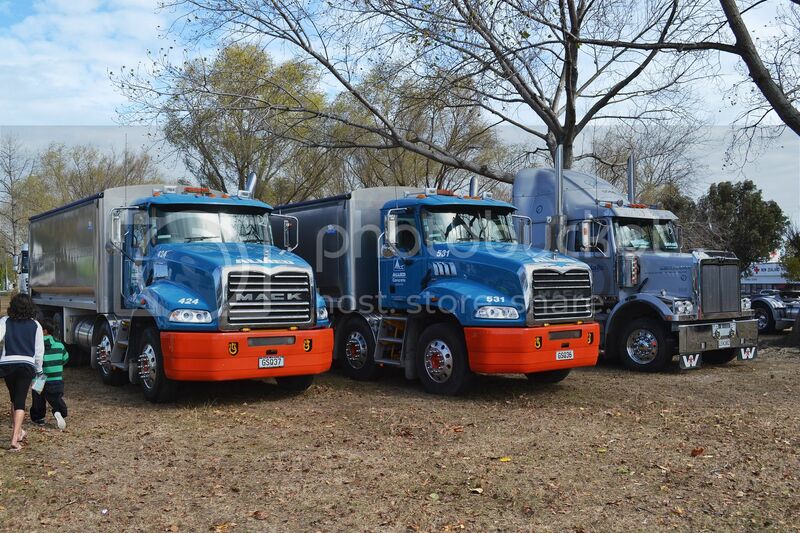 Two 8 wheeler Mack Granites and a Western Star. 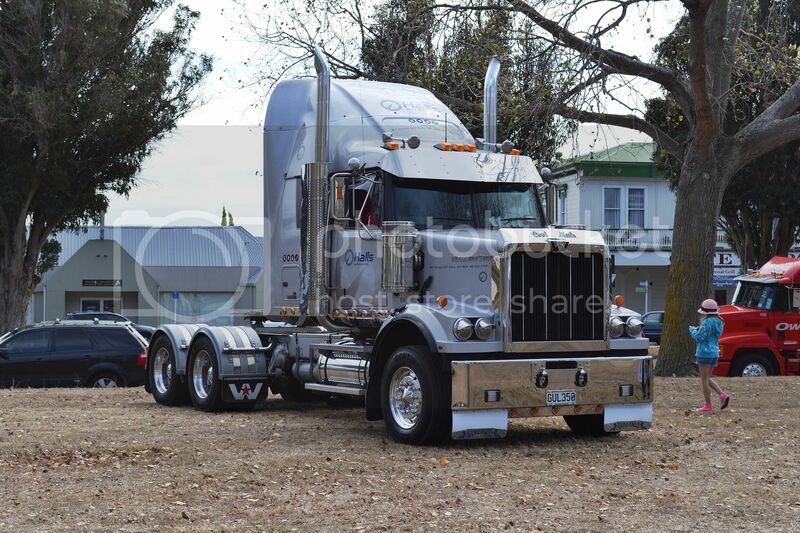 Western Star 4884FX of Hall's Refrigerated hit the roads in 2011. PTS Logistics Caterpillar unloads another grinning kid. 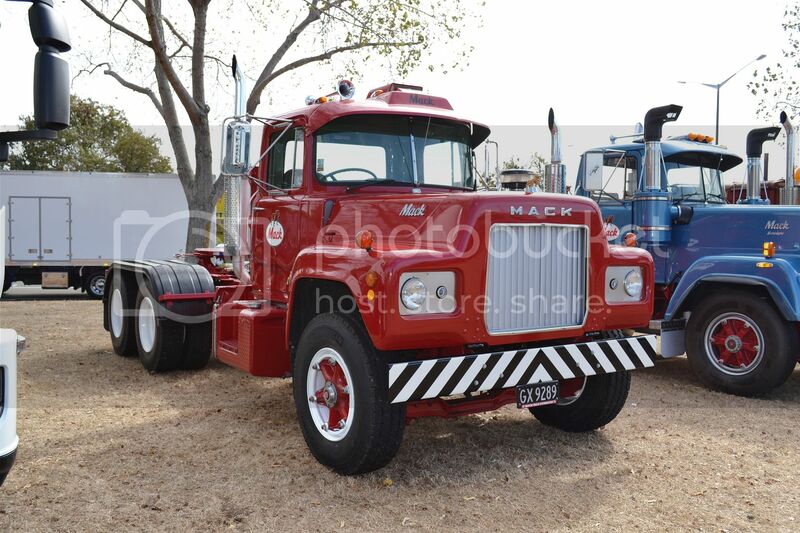 This Mack R685RST originally went on the road for Waikato Bitumen in 1973. 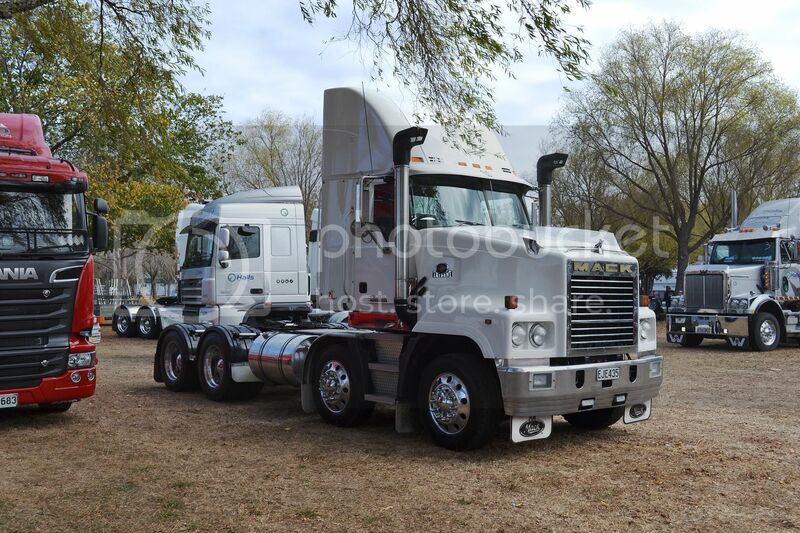 In 2009 it was restored to brand new condition by Motor Truck Distributors, who assembled it in the first place. ....as is the inside of the Superliner. 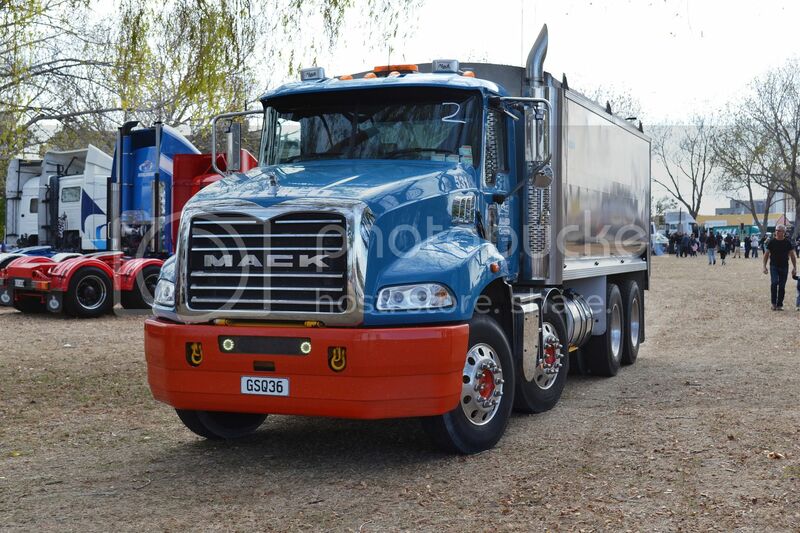 Mack Granite 8 wheeler of 2013 manufacture. 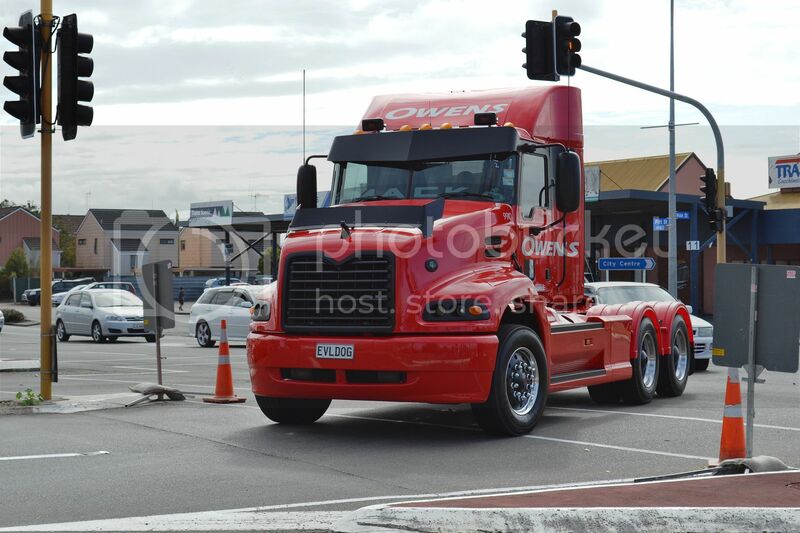 With the postponement of the Wellington Truck Show and the terribly wet weather we seem to have experienced since we "switched off" daylight saving, I haven't snapped any trucks lately. So here are a few from my collection of low loaders, mostly from unidentified snappers, out of my overseas collection. C.D.R. 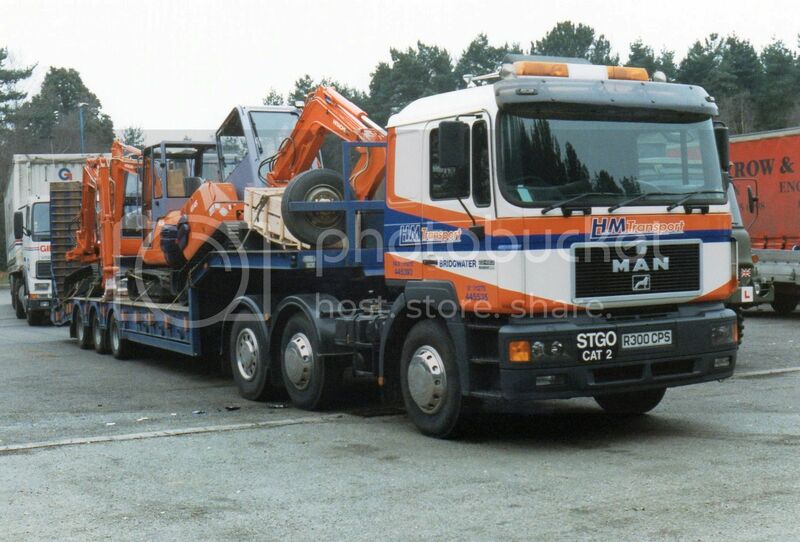 Heavy Haulage of Sheffield use a single axle dolly to share some of the load on the back of their Volvo F12. 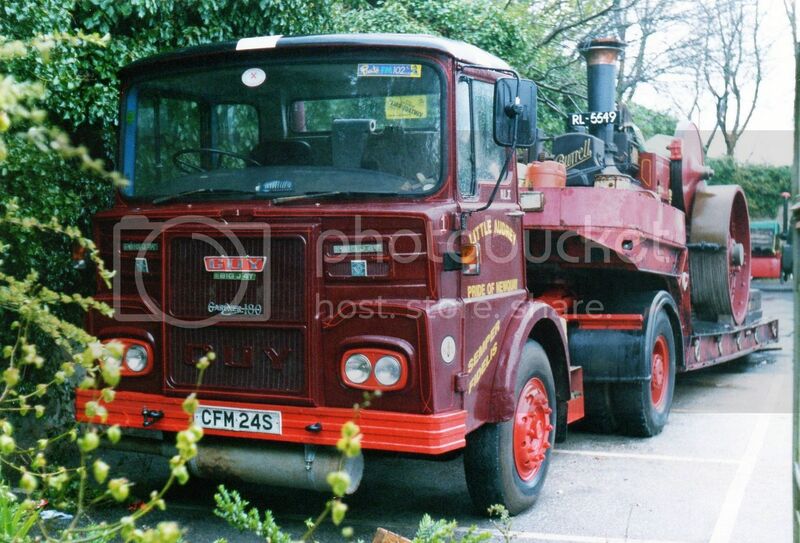 S106 Foden of Essexcare Trenching Ltd.
MAN 22.463 twin steer of H.M.Transport of Bridgwater, Somerset. 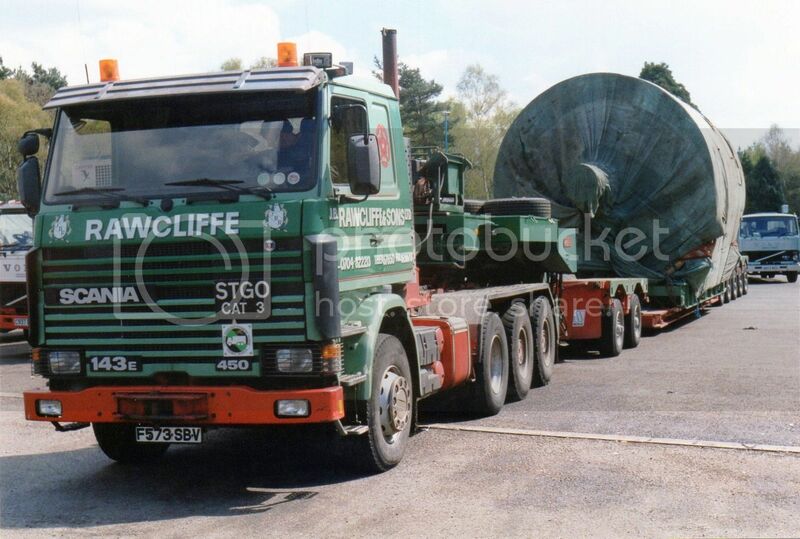 J.B. Rawcliffe and Sons of Mawdesley in Lancashire are heavy haulage specialists. 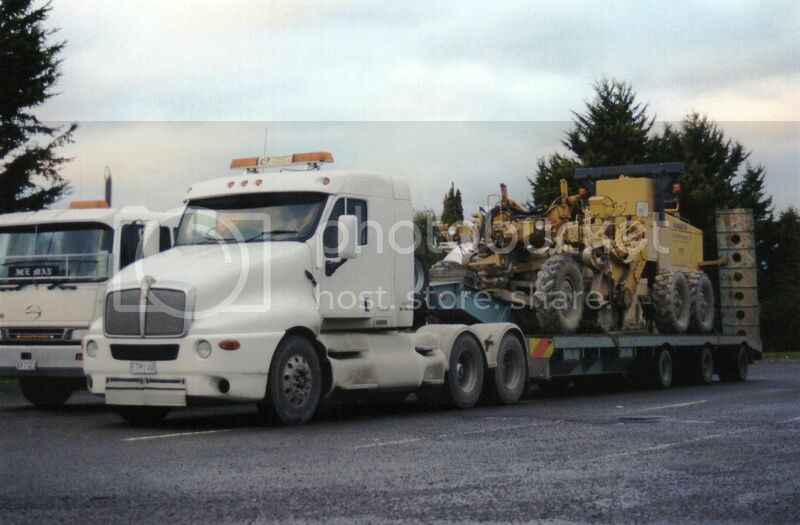 This R143 Scania is pulling a full low loader trailer (as opposed to a semi) and as there doesn't appear to be a ballast box as such, I suspect the trailer is designed to hydraulically exert pressure onto the Scania's driving wheels. The Guy Big J series was developed after Guy was taken over by Jaguar in 1961. 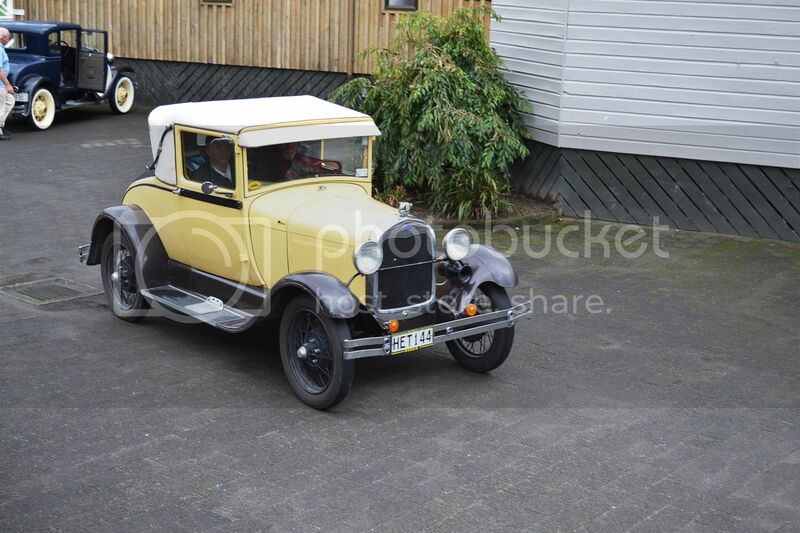 They were offered in a wide variety of wheelbases in 4, 6 and 8 wheelers with many engine options, including the 180 Gardner as in this example. The Big Js were released in 1964, but in 1966 Jaguar ,merged with BMC (British Motor Corporation) to form BMH (British Motor Holdings) which in turn merged with Leyland in 1968. This became BLMC (British Leyland Motor Corporation) and was the beginning of the end for the Big J. 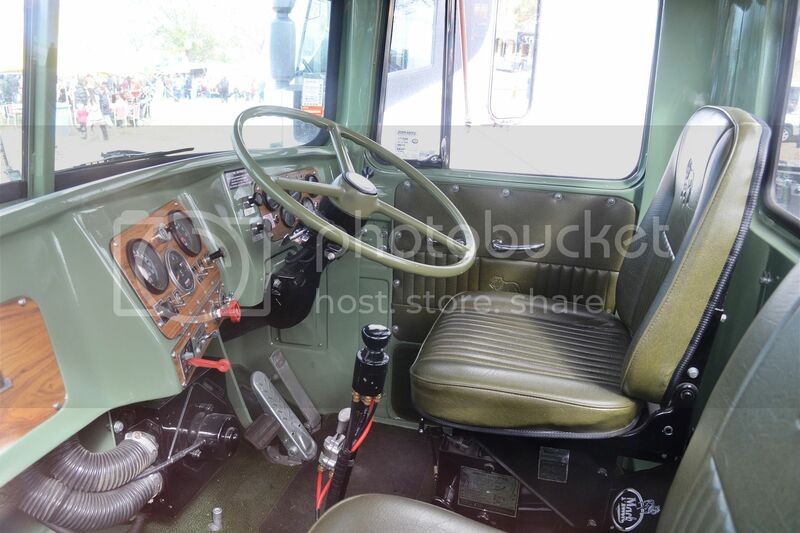 The Big J with its Motor Panels cab was a well designed and practical truck for its time, but with Leyland already marketing trucks under the brands of AEC, Albion and its own name, the Big J was not required and the famous name (which had been around since 1914) was "killed off". 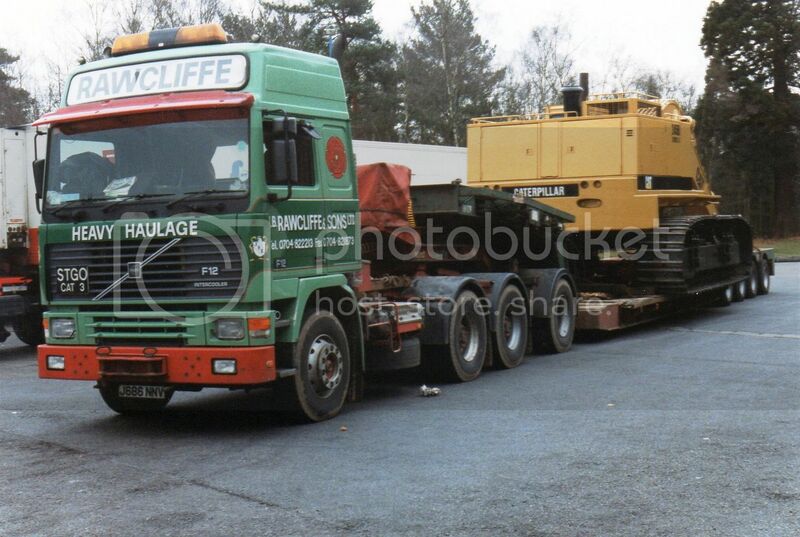 Another Rawcliffe rig. 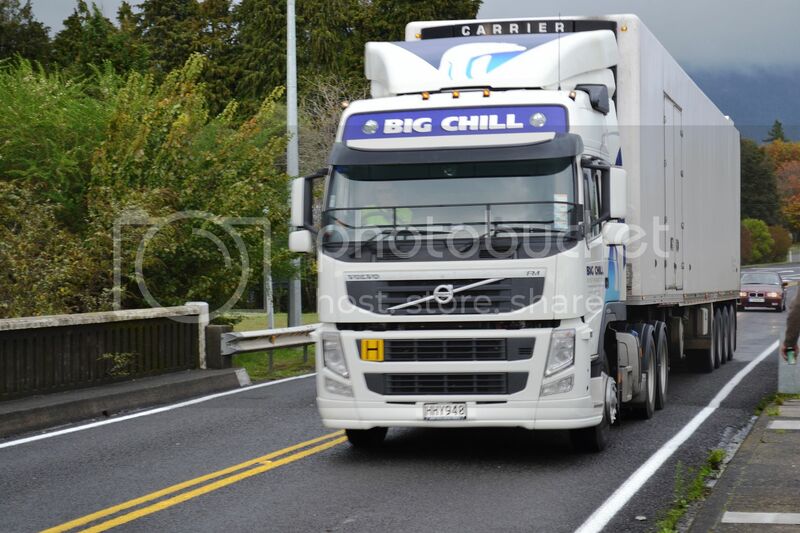 This time a Volvo F12 Globetrotter with a 4 axle semi-trailer and a single axle dolly taking its share of the load. 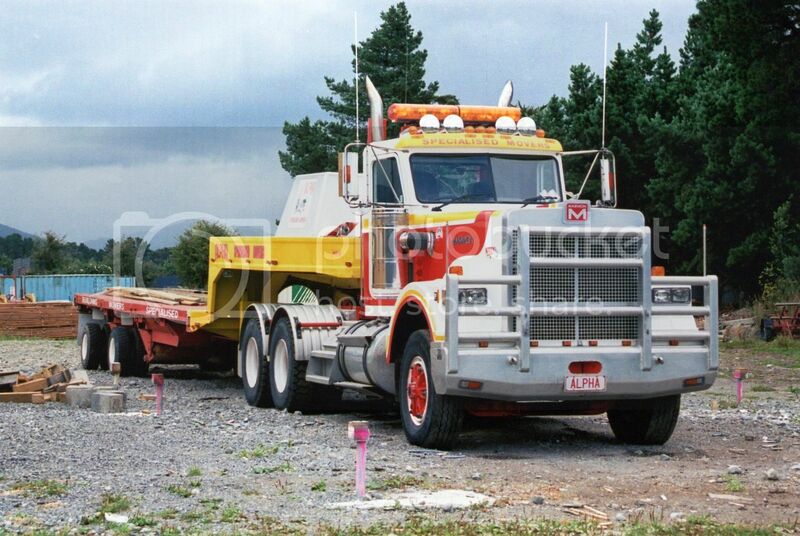 One of my own photos; Alpha Specialised Movers' Marmon with one of their house moving semis, snapped in Carterton. Another local photo. 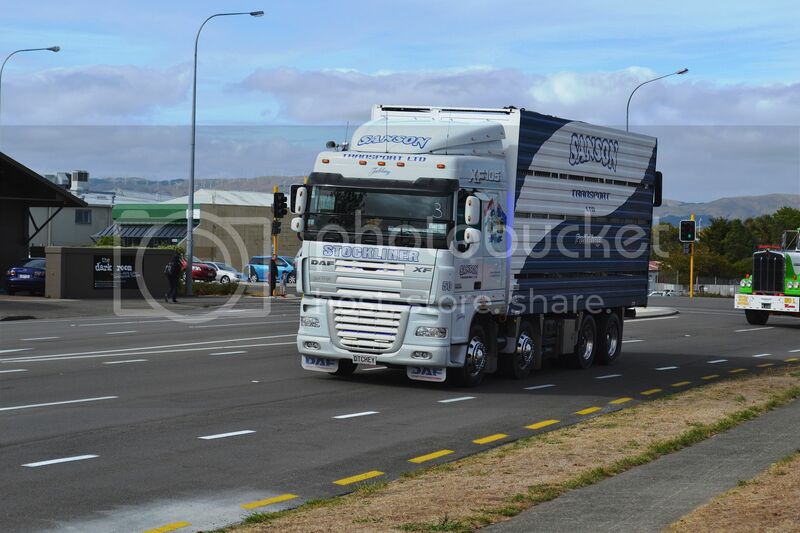 A very rare (for NZ) Kenworth T2000 of Fulton Hogan's Pavement Division in the car park of the Copthorne Solway Park Motor Inn in Masterton. 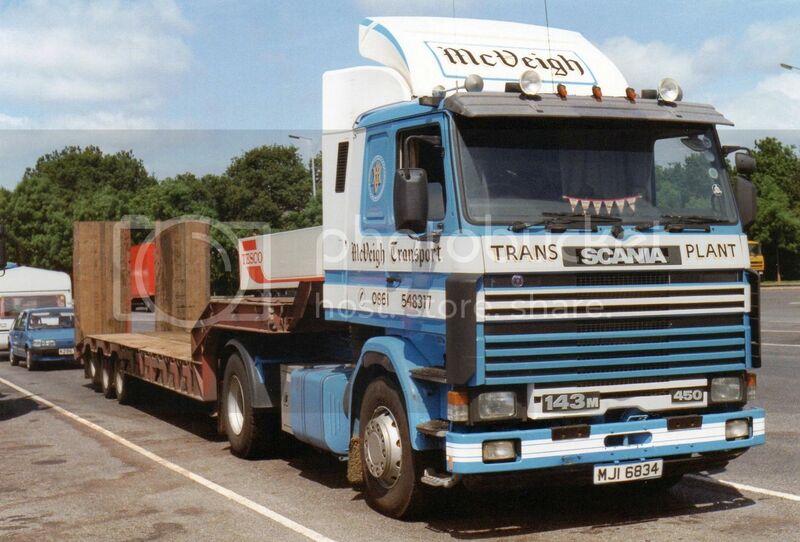 Back to the UK for this last pic of a Scania R143M of McVeigh Transport with a lifting rear axle on the low loader.